Strawberries reminds us of summer. These sweet and juicy fruits find their ways into endless lunch boxes, salads, ice creams, oatmeal and what not. 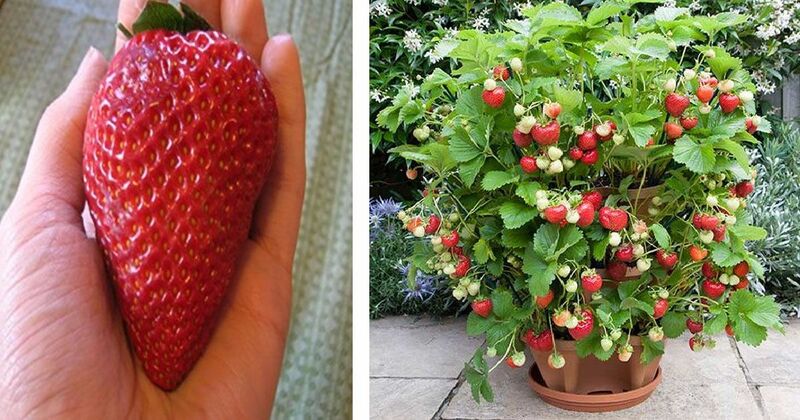 Have you ever thought of growing your own strawberries? Have you tried a homegrown strawberry? The difference between homegrown strawberries and ones from the market is huge! Not only homegrown strawberries are tastier and healthier, but they will give you so much pleasure if you grow them at home. Your strawberry plant needs the right soil to grow big and produce juicy fruits. To do this, your pH should be between 5.5 and 7. This plant needs lots of sunshine so find a place that will get enough sunshine to make your strawberry happy! Plant your strawberries in an place where the soil will be able to drain well. One of the best alternative for this is to use raised beds. It is important to weed as you don’t want your strawberry to lack nutrients. So, it is important to pick them up weekly. It is important that your strawberries have enough room to grow, so plant them at least twenty inches apart, and leave four feet between the rows. If you want to be successful and get better strawberries every year, you should do crop rotation. Move the plant and don’t put it at the same spot your grew something the year before. Patience is everything when it comes to strawberry plant. Just pick off the blossoms the first year and wait patiently.